Build a double chair bench with table | DIY projects for everyone! 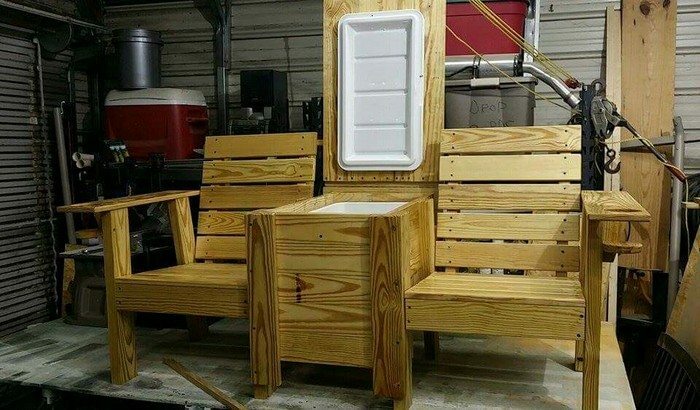 What’s your idea of a great way to relax outdoors? To most, it could be as simple as sitting on a comfortable chair with a convenient place for some drinks and snacks. 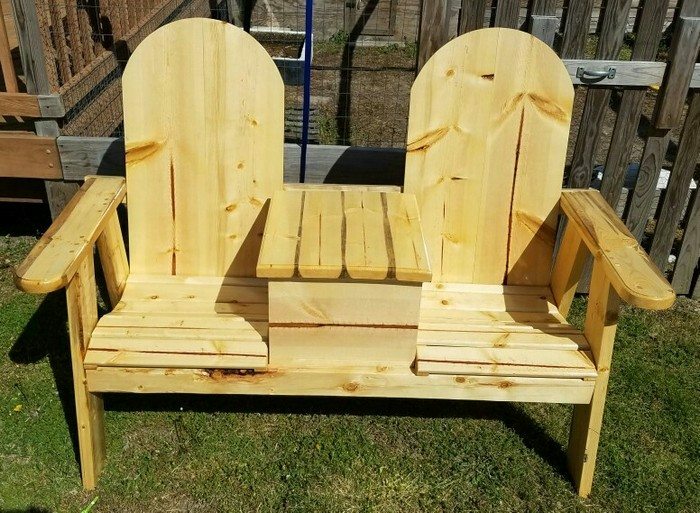 If this is also one of the things you enjoy doing after a long day or during weekends, then here’s a piece of DIY furniture you might want to add to your home! 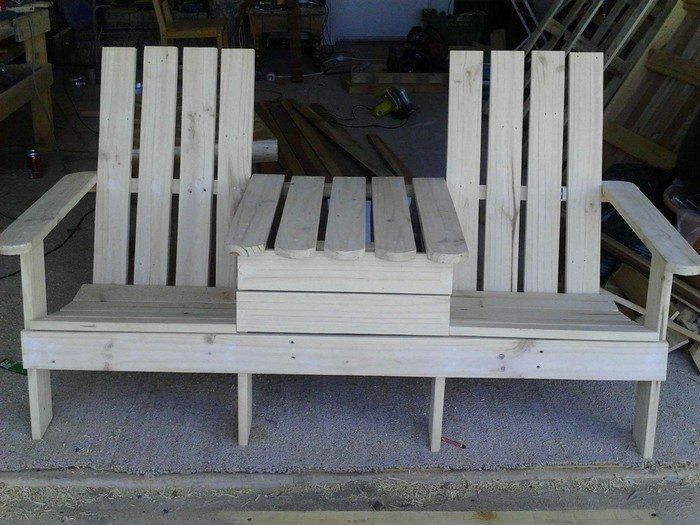 This furniture item is a chair bench for two with a ‘table’ in the middle for your drinks or books. It can be made of any timber of your choice, as long as it is weather resistant! You can purchase new cedar timber for a bench that will last a long time. But if you want to keep expenses to a minimum, you can use pallets or other reclaimed timber instead. If you choose to go for the second option, make sure to pick timber that are still in good condition – with no cracks and decay. You can install hinges at the back of the ‘table’ and attach additional support on the base frame under it to create room for a cooler. This way you can keep your drinks cold during the summer! This DIY project can be finished in just one day if all the tools and materials listed below are available. 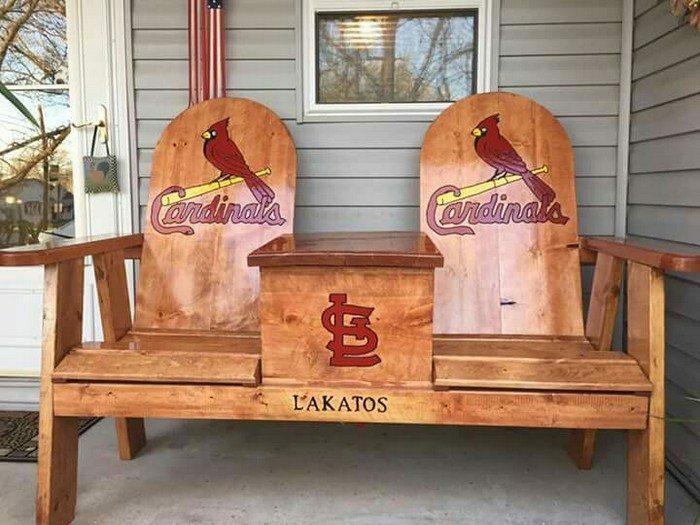 You can definitely build your own double chair bench with table, even if you are new to woodworking!